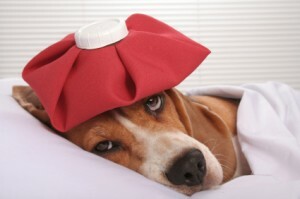 There probably isn’t a person in the world who does not experience a headache at one time or another. Which is really interesting when you consider that the brain itself has no pain sensor, so why does it feel like it hurts so badly sometimes?? While scientists have come a long way towards understanding headaches, they really don’t have a clear picture yet. If you suffer from headaches, it helps if you know what type it is so you can treat it properly. You might think all headaches can be solved with a few ibuprofen and sending the kids back to school, but this isn’t accurate. Trying to use ibuprofen, for example, on a cluster headache won’t anything at all to stop it. Trying to treat a migraine with prednisone, also will not work. Let’s take a look at the 7 most common types of headaches and how you can successfully treat them. 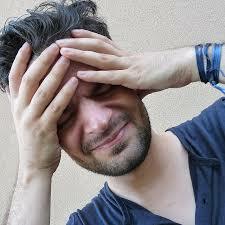 Perhaps the most common type of headache hands down is the tension headache. This feels like an ache or pressure on both sides of the head, often in the temple area, or on the back of the head and neck. Tension headaches have multiple causes, including clenching your jaw, stress, feelings of anxiety, and even bad posture. As common as they are, doctors still don’t understand the exact cause. The good news is that these types of headaches easily respond to a few over the counter pain relievers, such as Tylenol or even plain old aspirin. These aren’t actually headaches, but they are excruciating to say the least. In fact, the pain is right on the verge of unbearable, so much so that they have earned the name suicide headaches. Patients with this type of headache experience pain so severe, some have committed suicide, rather than live with it. 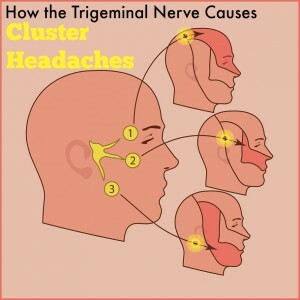 Cluster headaches are caused by a stimulation of the trigeminal nerve. This is a large nerve that runs directly near the ear and has small branches that go like a hand over one side of your face. The pain is almost always on one side only. For many people, it wakes them up about one hour after they fall asleep, but for others, the pain can start anytime. It moves very quickly, with patients describing it as going from fine to frantic in less than 1 minute. They can last from 15 minutes to 3 hours. Then the pain disappears the same way it starts. Within 3 minutes, all pain has left. 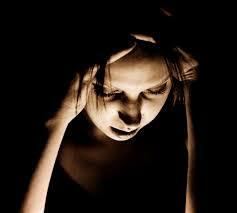 Unlike migraines, those suffering from a cluster headache cannot sit still. It is not uncommon to find them wandering around, as if lost, clutching their face and pounding their head on doors, walls, or floors in an attempt to get relief. Tablet type pain killers do not work with these types of headaches. If you believe you are suffering from cluster headaches, see your doctor. For many people, a 7 to 10 day program of prednisone seems to break the cycle, though the reason why is not understood. You can also ask for a prescription shot of sumatriptan, also known as Imatrex. These are sold in a pen like dispensers, but the shot needs to be given as quickly as possible to interrupt the pain cycle. If taken too late, it is also ineffective. These are severe headaches that affect women 3 times as often as men. The reason for this, as well as the exact cause, is unknown. Scientists do know that genes play some role and brain cell activity affects nerve cell function. Migraines appear to have triggers, which vary from person to person. The most common triggers are stress, hormonal changes, and a change in sleeping patterns, or even certain foods such as chocolate or coffee. While many over the counter medications do not seem to help unless taken at the very first sign, doctors have found that some Triptans, such as Zomig or Imitrex, help to prevent or relieve these types of headaches. Ask your doctor if Triptans can help you. Unfortunately, this type of headache gets the First Place Prize for being misdiagnosed. 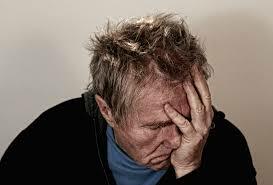 Many people who have cluster headaches are told that they are actually sinus headaches. The same is true of migraines. This is because the symptoms, nasal congestion or discharge, watery eyes, and a feeling of pressure behind the eyes, are also similar to cluster headaches and migraines. A true sinus headache is often the first sign of an infection. If you blow and see green or red tinged mucus, you probably have a sinus infection, as well as a sinus headache. Sinus headaches are not made worse by sound or light, that would be a migraine. A cluster headache is only on one side. See a doctor if you think you might have a sinus infection. Get out a calendar and mark off every day you have a headache. If you hit the magic number of 15 in a 30 day period, you might be suffering from what is called chronic daily headaches. If there is no obvious cause, such as head injury or dental problems, it could simply be that your body’s pain signals are having a kind of hiccup. They get started and just don’t seem to know when to stop. Speak to your doctor about beta blockers or antidepressants, gabapentin or even Botox injections. Sometimes this type of headaches is called the Baseball Bat to the Head. While most headaches are not serious, this one could be. The sudden onset of a severe headache, as if someone whacked you upside the head with a baseball bat can mean something serious. This type of headache comes on very quickly and is very intense. Some people call it the worst headache of their life. 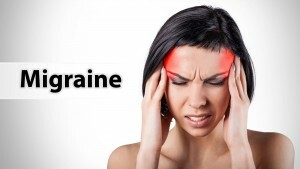 If that type of headache happens to you, get to a doctor or emergency room immediately. If the headache is also accompanied by a sudden fever, a rise in blood pressure, a change in vision or speech, dizziness, or muscle weakness on one side of the body, call 911. These are due to the overuse of over the counter pain medications. Seems like a big cosmic joke, right? You get a headache, you take some aspirin. Later, the aspirin gives you a headache. The only problem is that this isn’t really funny. Taking any pain reliever, including Tylenol or ibuprofen, more than twice a week over a 3 month period, puts you at a higher risk for rebound headaches. Speak to your doctor if you feel you are having rebound headaches. Your doctor can help you get off the pain reliever responsible, and give you alternatives to help stop the pain.